Following investment in new accommodation we are excited to be able to offer part-time Specialist Optometrist position at Shrewsbury and Telford Hospitals NHS Trust. The successful applicant will join the Eye Department and work alongside our multidisciplinary team in delivering a wide range of ophthalmology services to patients. This post is particularly suitable for Optometrists wishing to expand and consolidate their knowledge and clinical skills in Hospital Optometry. You will join our established Specialist Optometrists who offer a range of services including refraction, vitreoretina, Medical Retina, medical contact lens, low vision services, Glaucoma, paediatric, injections, diabetic eye surveillance bio-microscopy slit lamp examination, lasers and urgent eye clinic to support the department. The successful applicants must hold a degree in Optometry (or equivalent) and be registered with the General Optical Council. 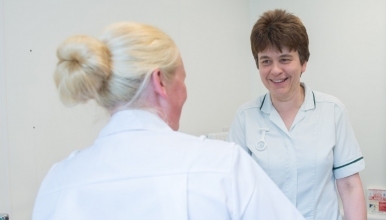 You will provide a proportion of core clinics and also be mentored by a Consultant Ophthalmologist to expand specialist interests in your preferred chosen specialist areas and to meet the service needs. You will be based at Royal Shrewsbury Hospital however successful applicants must be able to travel and work cross site to fulfil the requirements of the role.